• Noah Baumbach - new interviews with director Baumbach (28 min). • Jeff Daniels - in this brand new video interview, actor Jeff Daniels recalls how he was cast to play Bernard Berkman in The Squid and the Whale and how the film redirected his career, and discusses his initial impressions of the script for the film, Noah Baumbach's vision of the film before it was completed, his interactions with the rest of the cast members, etc. The interview was conducted exclusively for Criterion in Michigan in August 2016. In English, not subtitled. (8 min). • Revisiting "The Squid and the Whale" - in this brand new documentary, actors Laura Linney (Joan Berkman), Owen Kline (Frank Berkman), and Jesse Eisenberg (Walt Berkman) recall how they joined The Squid and the Whale, and discuss their interactions with Noah Baumbach before and during the shooting of the film, some of the interesting dilemmas their characters face in the film, the brittle balance between comedy and drama, the impact the film had on their lives, etc. The documentary was produced by Criterion in 2016. In English, not subtitled. (21 min). • Auditions - presented here is raw footage from five auditions. In English, not subtitled. 1. Walt and Frank. Owen Kline and Jesse Eisenberg. (4 min). 2. "Do You Like Franz Kafka?". Jesse Eisenberg and Halley Feiffer. (4 min). 3. "Not an Intellectual". Jesse Eisenberg and Halley Feiffer. (4 min). 4. " Don't Be Difficult". Jesse Eisenberg and Halley Feiffer. (3 min). 5. "I Know it's Over". Jesse Eisenberg and Halley Feiffer. (8 min). • Dean Wareham and Britta Phillips - in this recorded conversation, director Noan Baumbach and composers Dean Wareham and Britta Phillips recall how the soundtrack of The Squid and the Whale came to exist and discuss the role specific music themes have in it (from Pink Floyd to Tangerine Dream). The conversation was recorded exclusively for Criterion in 2016. In English, not subtitled. (14 min). 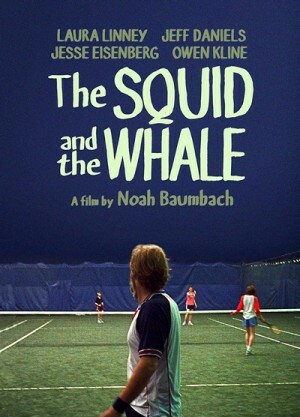 • Behind The Squid and the Whale - this archival piece features raw footage from the shooting of The Squid and the Whale in Brooklyn and clips from interviews with various cast members. It was shot by Nico Baumbach in 2005. In English, not subtitled. (10 min). 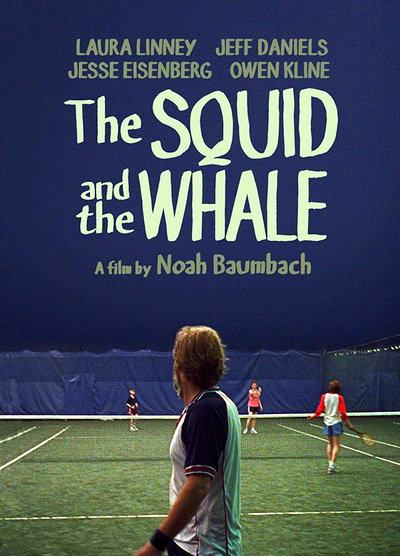 • Trailers - two original trailers for The Squid and the Whale. In English, not subtitled. (5 min).